It’s not just the rescuing of people that matters. Last Thursday, the 26th January, the BBC News website published a short video under the heading of: Italian avalanche survivors tell how they stayed alive. A couple among the nine survivors of an Italian avalanche that devastated a mountain hotel say they survived nearly 58 hours buried beneath feet of snow by sucking on glass- and mud-filled ice, comforting each other and those nearby, and praying. Now there’s no way I am belittling that survival; far from it. But 58 hours is a tad under 3 days. Now read the following that was published on the Care2 site. After an avalanche buried central Italy’s luxury Hotel Rigopiano and its guests Wednesday, Jan. 18, rescue workers spent days digging in the snow in a desperate attempt to locate any survivors. About 120,000 tons of snow, 16 feet deep, slammed into the hotel at 60 miles per hour. It took a while for emergency operators to believe the avalanche had occurred. The first man who called to report it was told that everything was fine at the hotel. When they finally realized a disaster had in fact happened, first responders had to ski to the hotel, which took 12 hours. It took another day until the roads could be cleared with snowplows so emergency vehicles could finally get through. Despite these circumstances, 11 survivors, including three children, were somehow able to keep themselves alive for over 40 hours by using their cellphones as flashlights to find water. The children, trapped in a game room, ate packets of Nutella and drank bottled water. By Monday, rescuers were only pulling bodies from the snow and rubble. Discouraged and depressed, they were ready to give up hope. The rescuers were told there were three puppies at the hotel. They had no idea where they were until they heard a noise in a boiler room inside what remained of the building. 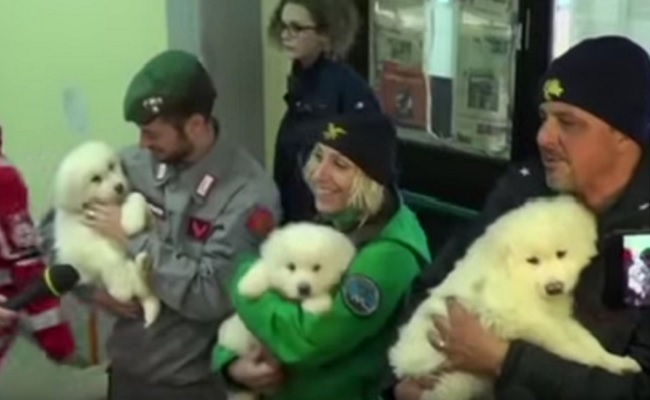 It was the three fluffy, white Abruzzo sheepdog puppies, only six weeks old, who had miraculously managed to survive both the avalanche and being stranded for five days. The puppies, born Dec. 4, had survived in an air pocket by eating snow, Walter Milan, the spokesman for Italy’s elite Alpine rescue squad, told the Daily Beast. They are the offspring of Nuvola (Cloud) and Lupo (Wolf), who lived at the hotel and were popular with guests. 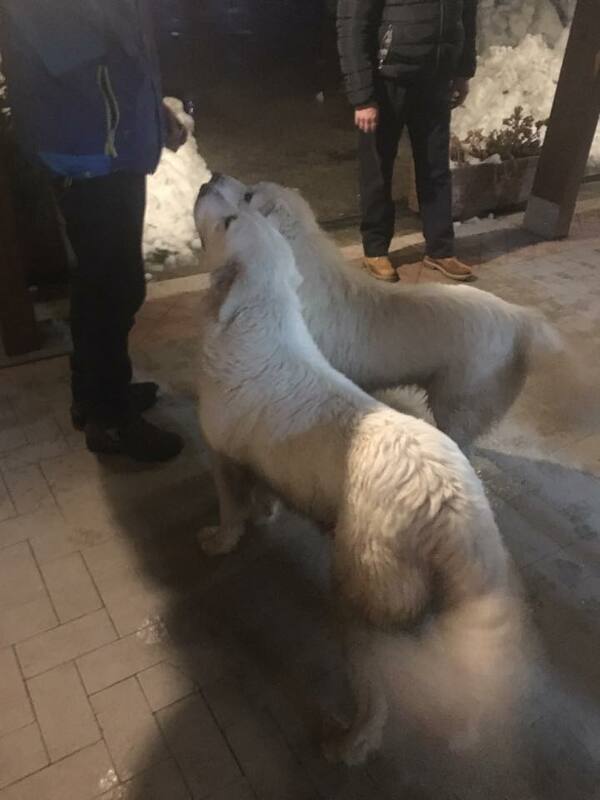 Like their lucky litter, Nuvola and Lupo also survived the avalanche, according to a Facebook post by Martina Rossi, who was a bartender at the hotel. Lupo e Nuvola, i pastori abruzzesi nati e cresciuti all’Hotel Rigopiano, non so come, sono riusciti a raggiungere la mia contrada, una frazione di Farindola (Villa Cupoli) sani e salvi. Questo non può di certo colmare il vuoto e la distruzione che attraversa un paese in ginocchio ancora speranzoso, nell’attesa soltanto di notizie positive, me in prima persona. Ma questi due bellissimi cagnoloni, rivedendoli, di certo sono riusciti a farmi tornare a battere il cuore, almeno per qualche secondo, riportando la speranza. The three puppies raised the hopes and spirits of the rescuers. 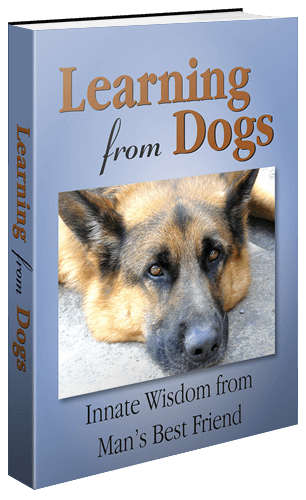 “If the puppies survived, humans could as well,” Milan told the Daily Beast. Firefighter Fabio Jerman agreed. “It’s an important sign of life, which gives us hope,” he said. Sadly, no one else has been found alive. A week after the disaster, 24 bodies have been found and five people are still missing. In addition to unusually heavy snowfall, the avalanche may have been caused by a series of earthquakes that struck the area the day before. Last year, devastating quakes killed more than 300 people in Italy. Another fortunate four-legged survivor, a border collie pulled from the rubble two days after an earthquake struck in late October, is being trained to pay it forward as a rescue dog. Well done the team, as in Walter Milan the spokesman, and the rest of Italy’s elite Alpine rescue squad! Stories like this put a real smile on my face! A big smile on my face too. Wonderful story and post. Aren’t animals wonderful and those rescuers that skiied(?) for 12 hours – people can be just as wonderful too. Miracle recovery of the puppies as well as adult parents of the pups. It’s a shame that most of the humans perished. I don’t think Italy is the place to be- too many earthquakes. It is believed that a quake a few days or so before, triggered the avalanche. It is frightening and so tragic. I’m scratching my head to understand why this part of Italy is now experiencing earthquakes. Don’t recall this being the case when I lived in England and frequently traveled to Italy. Is there any fracking in Europe or the Baltic states? That is happening in Oklahoma. To my knowledge there were previously no quakes in Oklahoma but for the past several years there has been lots of fracking to get the oil. It is bad business for the environment and now fracking will become wide spread. Yes it would be depressing to know if there is fracking but better to know than not. We love happy endings like this! No question! We can never have too many happy endings.